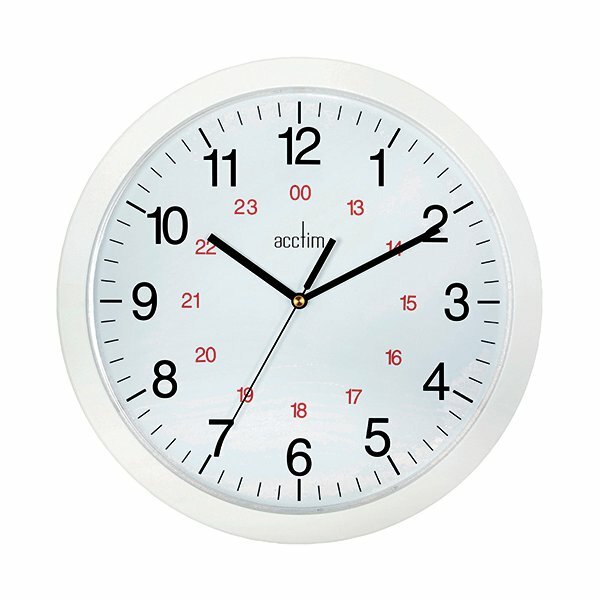 Ideal for workplaces that operate outside of the normal 9-5 routine, the Acctim Metro 24 Hour Plastic Wall Clock (21162) features an inner 24 hour ring. The thick hands, easily readable from across a room, are powered by a precision quartz movement. The inner red 24 hour track lets you work out 24-hour time at a glance. The 300mm white dial is surrounded by a matching white plastic trim. 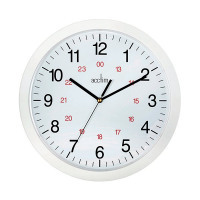 A plastic lens protects the clock face from damage or tampering.